!! OMG, first look: Angelina Jolie’s ‘Maleficent’ Poster !! Disney has just released the poster for its new take on the original 1959 classic “Sleeping Beauty” which is about to become live-action with Angelina Jolie starring as Maleficent. 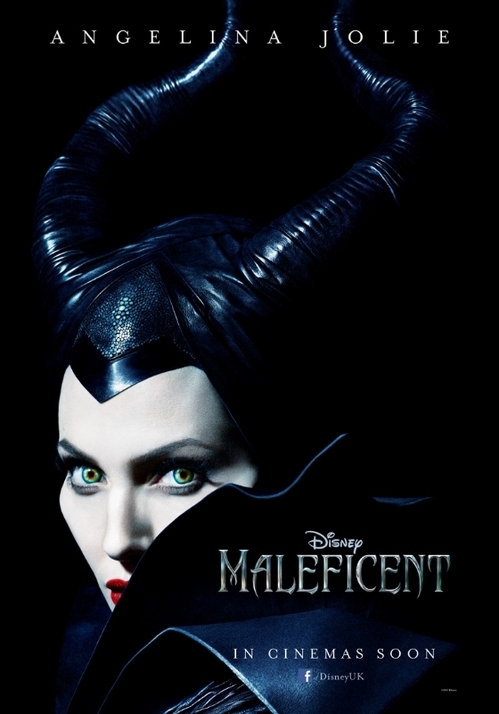 Maleficent will also star Sharlto Copley, Elle Fanning, Sam Riley, Imelda Staunton, Juno Temple and Lesley Manville, and is set to hit theatres May 30th 2014. What do you think of Angie as Maleficent? 1 Comment on "OMG, first look: Angelina Jolie’s ‘Maleficent’ Poster"
I still have my reservations about Angelina in this role, not because I don’t think she’s going to do a good job, but only because I think there are other actresses out there that may have done even better. That being said, I’m still looking forward to seeing her in the role and what she does with it.